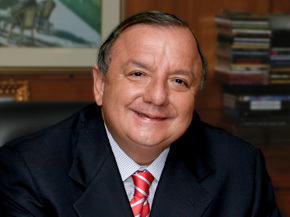 Alvaro Noba was interviewed by Andrés Mendoza, Radio Atalaya. He emphasized that Ecuador needs people with patriotism, like his family. His wife, Anabella, by her own merit, has excelled as a political figure, being the most voted congress member in 2007, and then two times elected for the Assembly. “I have made sure that my children value and love their country, that’s why they support and accompany me”.”All of them, my wife and my children, love Ecuador as much as I do”. That way he responded to the issues saying that his party, PRIAN, is filled with family members and employees. 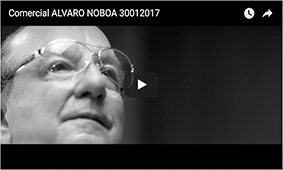 During the Popular Assembly carried out by Alvaro Noboa on saturday september 22, 12.000 people attended, and he introduced his children: Daniel, Juan Sebastián, Santiago and Carla. He mentioned that they have studied in the best schools and universities, they speak 3 languages and they are very aware of how much they have received in life and that’s why they must work for the people in need. “It’s not strange that my children are following my steps. The Kennedy’ s and the Bush’s are examples of emblematic families that carries three generation of political figures” said Noboa. Serving my country as a politician and businessman is a way of being patriotic, emphasized Noboa. “Ecuador is a rich country with lots of poor people, which is a contradiction”. For that reason, he said that he will continue to pursue the Presidency to end poverty. “I have spent a lot of money and I will keep doing it. The money is not a concern; money comes and goes; I have enough money for myself , now I want to give it to my country”, declared Noboa.